Vox AC-15 1x12" Extension Speaker Cabinet by North Coast Music - No Speaker - A 1x12" extension speaker enclosure that shares the same cabinet dimensions as the AC15C1, AC15CC1 and AC15TB/X. 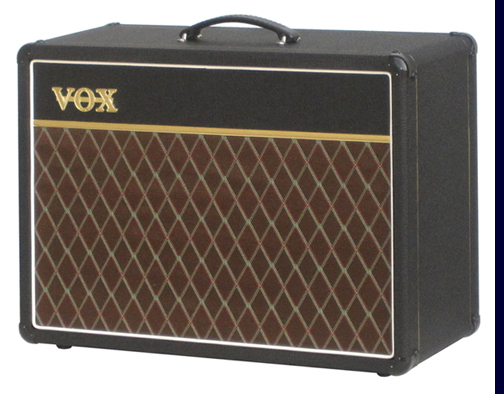 Also a perfect match for the Vox AC15CH head. The open back enclosure is built of 3/4" thick 13 ply baltic birch plywood except for the backs which are 3/8" thick 7 ply baltic birch plywood. A single 1/4" input jack with a twin wire lead and all mounting hardware to install the 12" speaker of your choice is included. The cabinet is covered in vintage style black basket weave vinyl and features eight two-pin corners and a single diamond patterned NCM-074 handle. The handle is mounted slightly off center to accommodate the cabinet extension on the bottom of the AC15CH head. 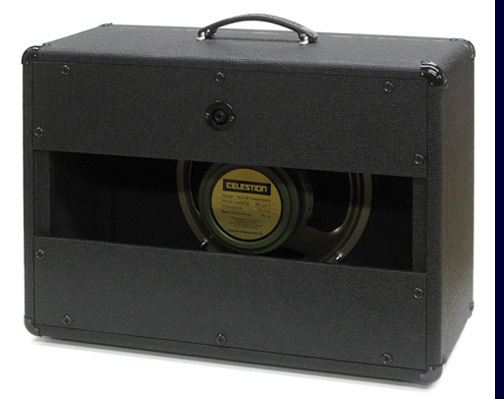 The enclosure is available either less speaker or with a 12" 15 ohm Celestion Greenback speaker. Dimensions: ~18" tall, 23.75" wide, ~10 1/2" deep. About 32 pounds less speaker. 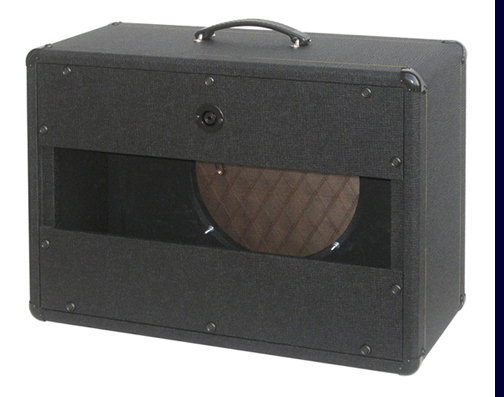 This 1x12" AC-15 speaker cab is authorized and licensed by Vox Amplification plc, UK.